Mormons believe Jesus Christ is the Son of the living God (Matthew 16:15-16) and was foreordained before the foundation of the world (1 Peter 1:20). “I cannot with composure tell you how I feel about the Atonement. It touches the deepest emotion of gratitude and obligation. My soul reaches after Him who wrought it—this Christ, our Savior, of whom I am a witness. I testify of Him. He is our Lord, our Redeemer, our Advocate with the Father. He ransomed us with His blood. 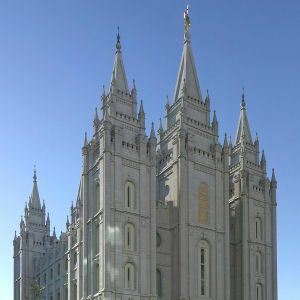 “The fundamental principles of our religion are the testimony of the Apostles and Prophets, concerning Jesus Christ, that He died, was buried, and rose again the third day, and ascended into heaven; and all other things which pertain to our religion are only appendages to it.” See Teachings of Presidents of the Church: Joseph Smith (2007), 49. Jesus Christ, The Son of God – His Life and Teachings – Who is Jesus Christ? The Articles of Faith also describe our belief in the organization of the Church being the same as what existed in the Primitive Church with apostles, prophets, pastors, teachers, evangelists, etc., and the gifts of the Spirit such as tongues, prophecy, revelation, visions, healing, interpretation of tongues, etc. An important Mormon belief that is expressed in the Articles of Faith is that Mormon’s believe in Modern Revelation. In other words, not only do we believe that God has revealed things to mankind, but we also believe that he is revealing and will yet reveal many great and important things pertaining to the Kingdom of God. 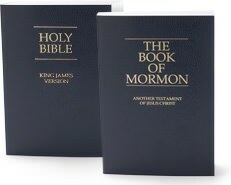 Mormons believe that the Bible is the word of God as far as it is translated correctly, and a distinguishing belief is that Mormon’s also believe the Book of Mormon to be the word of God – as a companion scripture to the Bible. Much more will be shared on this topic in future posts. To see all 13 Articles of Faith, please visit The Articles of Faith of The Church of Jesus Christ of Latter-day Saints.